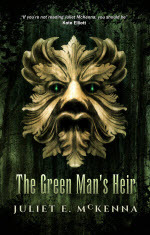 I’m delighted to announce that a new publisher has joined the Wizard’s Tower store. 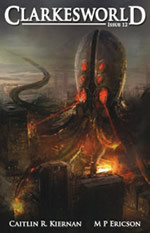 Xoum Publishing is a fine Australian small press. 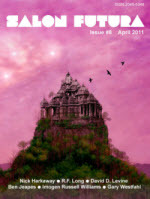 They don’t publish a lot of SF&F, but what they do have is very impressive. 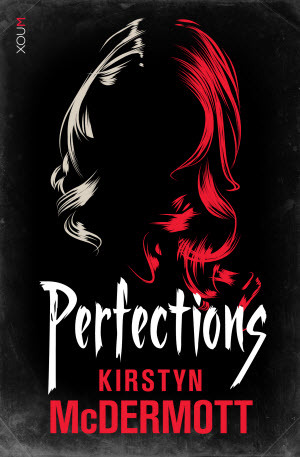 Top of the list has to be Perfections by Kirstyn McDermott which has just won the 2013 Australian Shadows Award for Best Novel. Kirstyn is, of course, also one of the co-hosts of the fabulous podcast, The Writer and The Critic and the wielder of the infamous Pointy Stick. She may decide to poke you with it if you don’t buy her book. Also arriving from Xoum is Blood and Dust by Jason Nahrung, which is a vampire novel set in the Queensland outback. I’ve always felt that there are far too many things trying to kill you in Queensland already, so it hardly needs vampires, but you have to admit that Queensland has the coolest bats in the world. I can see why vampires might want to live there. Finally we have something much less deadly. Irina the Wolf Queen by Leah Swann. Xoum lists this as a children’s book, so I’m assuming it is aimed at a younger market than YA. It is described as “Book I of the Ragnor Trilogy”, which should get the kids hooked nicely early. All three books are nominees for this year’s Aurealis Awards, which is an impressive achievement.